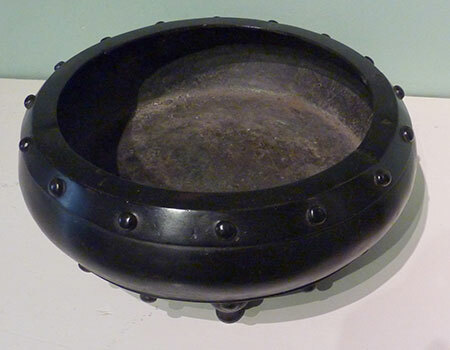 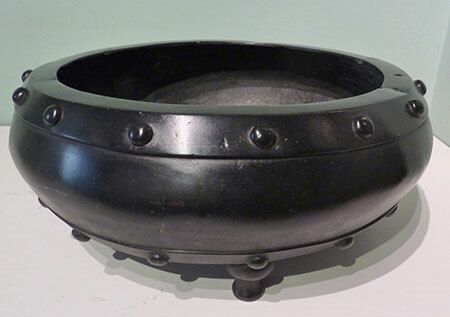 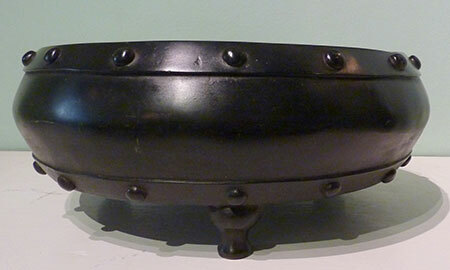 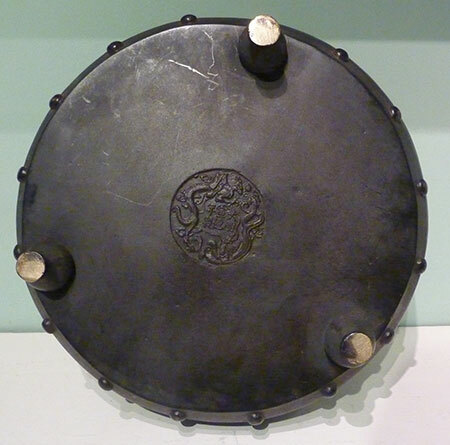 A very large and heavily cast Chinese bronze tripod censer of compressed drum shape, with flat inverted rim, the upper and lower rims cast in relief with bands of studs, on three cabriole feet. 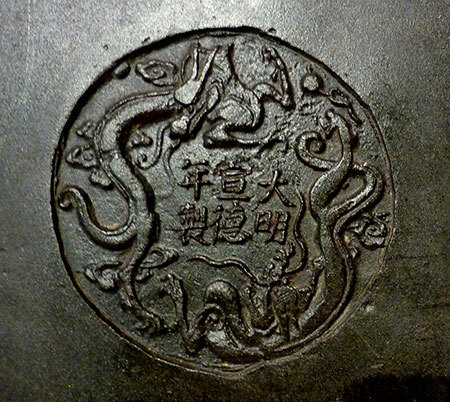 Xuande six-character mark within a double dragon reserve. 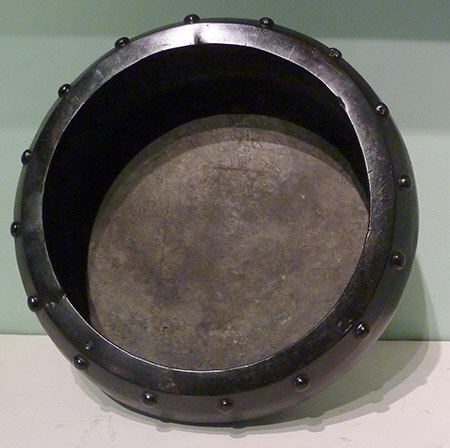 A few minor dents and casting flaws to the flat rim. 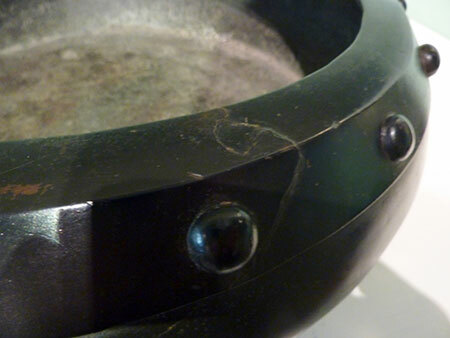 Old repair to one section of the rim where an original casting hole had been filled.